The 2018 season is over for the Baltimore Ravens, and it is time to begin the yearly roster evaluation. This year, we will go through all 10 positional groups and evaluate the state of each group, and make recommendations on what the Ravens need to change this offseason. In today’s article, we will take a look at the defensive back corps. Here are the fourteen defensive backs that were on the 2018 roster. The Baltimore Ravens need to determine which veteran players should remain on the 2019 roster. The Ravens have several out-options in contracts this year, specifically with aging players. Jimmy Smith, Eric Weddle, Anthony Levine, and Brandon Carr can all be released with minimal dead money penalties. 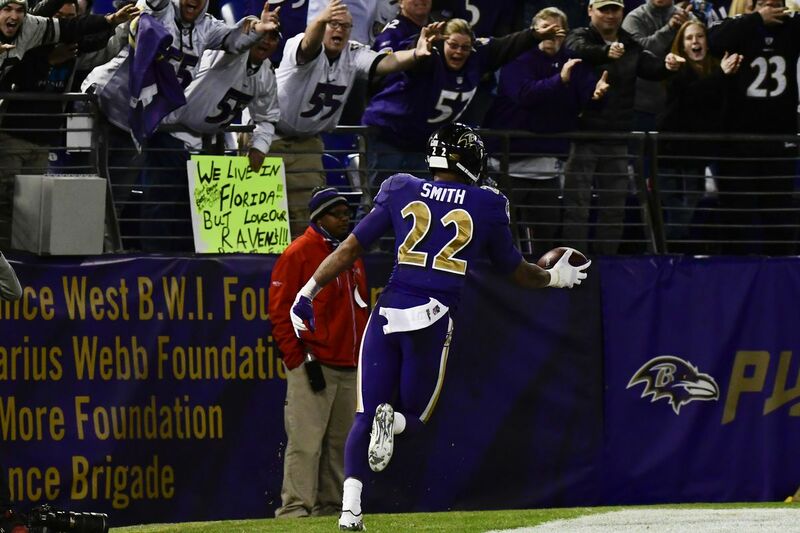 Jimmy Smith and Eric Weddle are the most likely salary cap casualties. Both defensive backs are standing in front of promising young players, and the Ravens can use the massive sum of saved money from the cuts on big name free agents. Baltimore could also allocate the money to a slush fund for re-signing key players like C.J. Mosley and Michael Pierce. If I could give my two cents to Eric DeCosta, I would advocate cutting Jimmy Smith. Smith is a liability not only on the field with inconsistent play but off the field as well. Suspensions and injuries are a major problem, especially for a 31-year-old player set to make $15,850,685. 2019 is not set to be a great year for cornerbacks on the open market. Very few talented young players are set to enter free agency, and if the Ravens want to find a cornerback worth pursuing, the organization will have to wait until one is cut as a salary cap casualty. That being said, the same is not true for the safety market. Plenty of elite safeties are heading towards free agency, and if the Ravens move on from Eric Weddle, the team could pursue a high caliber free safety like Earl Thomas, Tyran Mathieu, or HaHa Clinton-Dix to replace him. Baltimore would need to write a large check to bring in any one of these players, but moving on from Weddle would open the door to that possibility. Despite these options, the Ravens may let Weddle play out the last year of his contract in order to further evaluate the young safeties already on the roster for future starting positions, without committing to another long term contract. Do the Ravens Need to Draft a Defensive Back? Yes, the Baltimore Ravens need to draft a defensive back in this year’s draft. Particularly, Baltimore should find a cornerback in the third or fourth round. This is especially the case if Baltimore moves on from Jimmy Smith and cannot find a cornerback on the market to replace him. The Ravens will have both Marlon Humphrey and Brandon Carr as the two starters, but the team should add another young talent to develop. A player like Julian Love or Lonnie Johnson Jr. would be worth keeping an eye on.